A game so good they made a film of it! Well, things didn't quit happen in that order there was the book, then the game, then the Sean Connery extravaganza. Red October is a chase where the sub is pursued by its previous owners - the Russians - and hunted by its prospective owners - the US. Why is this sub so special? 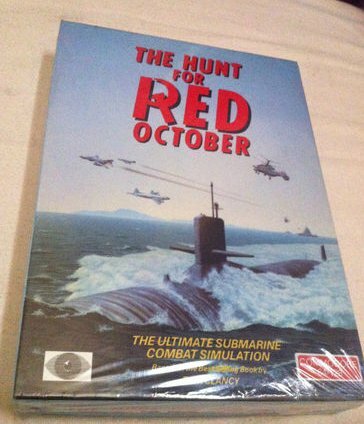 The Red October is a sub that's so sneaky and stealthy, even it's own crew don't know where it is, that's why. Using revolutionary caterpillar propulsion system, torpedoes, cunning and firepower, you must guide the super sub to freedom. 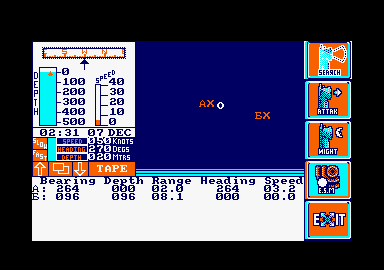 To make the game playable, all the commands are icon driven . As soon as it's been clicked, it's done. Tour crew are that loyal Or they will be until they find out you're defecting. 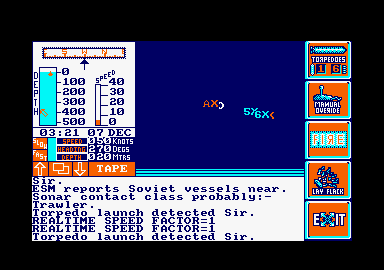 Starting out at the head base of the Soviet fleet you must first navigate your way through a maze of undersea canyons (known as Gorshkov's Railroad), while being pursued by other Red subs. All of whom want to send you to the bottom. Once out, then it's all hands below decks and off to the rendezvous with the US Navy. 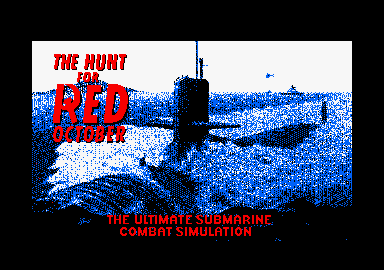 Red October is an accurate representation of Tom Clancy's imagined wonder-sub In fact, it could be said that the game is too accurate. The first few missions, are spent seriously sinking, time and time again, as tor bedoes rain in from all directions. Survive for ten minutes and you've got the record. 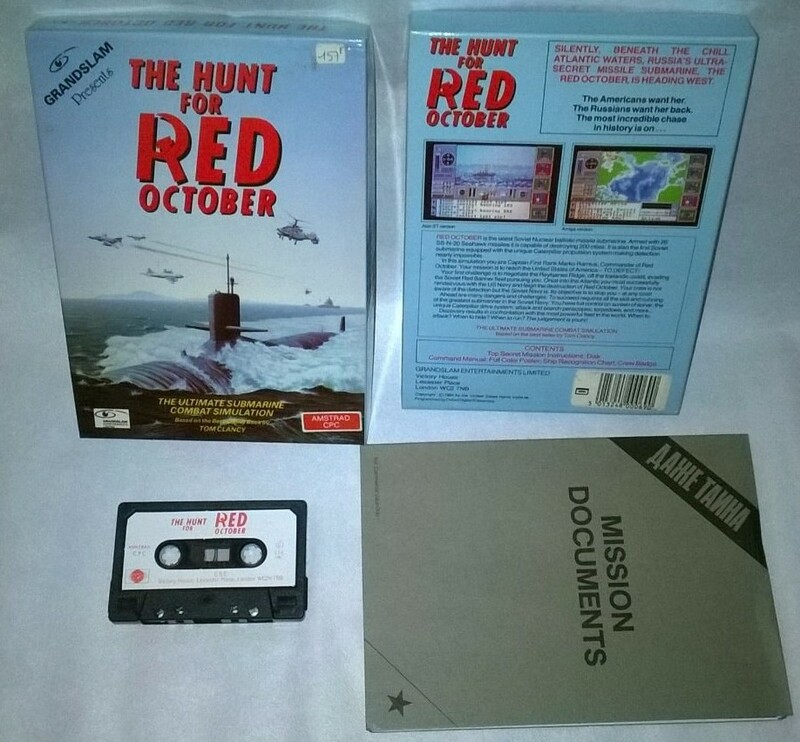 If you want to learn the inside story of today's, wonder weapons, and are prepared to put a vast amount of; toe and effort into learning the basics of sub warfare, then Red October's for you Gamers who like to meet with limited success reasonably quickly though, forget it. 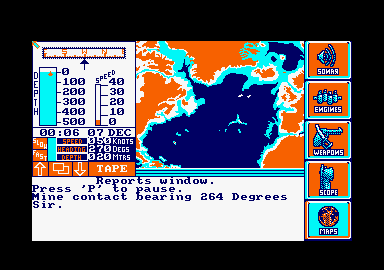 Red October is too realistic -your average Joe Punter would crash a nuclear sub at least once when let loose over the Reykjanes Ridge!